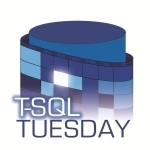 The theme for this month’s T-SQL Tuesday is indexes so it seemed like the perfect excuse to blog about a script that I have written to see what choices for fill factors on indexes actually does to the structure of those indexes. I have to give special thanks to Brent Ozar (Blog|Twitter) for taking the time to review and offer his thoughts on the query. I have to admit that I was nervous to publish the script because I have not seen anything else like it and figured there must have been a reason for that. For those that are unfamiliar, fill factor is an optional parameter that can be specified when adding or rebuilding an index. Specifying a fill factor tells SQL Server to leave a certain percentage of each data page open for future inserts in order to lessen the likelihood of page splits. Page splits are what happens when SQL Server tries to add another row to a data page that it does not fit on. Most page splits involve taking half the rows on the page and putting them onto a newly allocated page somewhere else on your data file, allowing sufficient room for the new row to be added to either page. If you are lucky enough that the row you are adding would be the last row on the page then the existing page is left as is and the new row is added to the newly allocated page. Regardless of how the page splits, the new page is almost never anywhere near the other pages of the index it goes with. The scattering of index pages means that the disk heads have to move around a lot more leading to poor performance. Now that we have talked about the problems that fill factor can help us with, we should talk about the dark side. Yes, the dark side. Setting the fill factor to anything other than the default decreases the rows per page for that index, thereby increasing the number of pages that must be read. According to Books Online, the read performance penalty is twice the chosen fill factor. This means that setting the fill factor to 50% will lead to twice as many reads to get the same data. Even a more reasonable number like 90% would have a 20% performance penalty on all reads. By now it should be clear that choosing the right fill factor for your indexes is one of the more important steps in creating an index, right behind picking the right key columns. The problem is knowing how to pick a good number and here is where it gets tough because like everything else: It Depends and It Changes. My method of setting fill factors is to calculate the rows per page of an index then use the expected change in rows between reindex operations to figure out what percentage of rows need to be left free per page. The exception to this process is if the index is on an ever increasing value, like an identity column, then the fill factor is automatically 100. My process works very well for the “It Depends” part of setting a fill factor but completely ignores the “It Changes” part. Over time as tables get larger, the fill factor setting on a table needs to be adjusted down. I have also run into servers where the default fill factor has been set to a value other than 0 (same as 100%), creating a need to quickly identify indexes that could perform better. What I needed was a simple query that I could run that would very quickly give me an idea of where I can adjust fill factors to improve performance. The query should be very familiar to anyone that has looked at index fragmentation in SQL 2005 or newer. The same rules apply, the only difference is the columns that are being used. For larger databases consider limiting the scan to a single table or even a single index. It is also a good idea to ignore smaller tables here. I leave it up to the individual running the script to define a small table. For some that will be 100 pages, others 500 pages, but anything over 1000 pages should probably be looked at. The size calculations used in the query are based on the formulas found here: http://msdn.microsoft.com/en-us/library/ms178085(SQL.90).aspx, although the math is quite simple because the DMV accounts for things like null bitmaps and row version information. I assume that everyone will come up with slightly different ways to use the query. I like to make 2 passes over the data, the first in the morning and the second after the end of the business day. My first pass through the results is used to look for indexes that have too small of a fill factor set. They are easy to find because their free rows per page numbers are less than 1. A value of less than 1 means that the fill factor either needs to be changed to allow some free rows per page or to be more honest about the actual number of free rows per page. My second pass is used to look at the change over the course of the day. The best way to do the comparison is to paste both result sets into Excel and use formulas to look for differences. The second pass will show the indexes that have their factor set either too high or too low. The idea is to focus just as much on the indexes that show significant changes as much as those that do not show any changes at all. So there it is, a query to tell how good the current fill factor settings are. To make sure that all users stay as happy as possible it is best to run the query the first time during an off-peak time so that impact can be safely gauged. Please let me know if you run into any issues, have any ideas that would make this script better or just want to share how you are using it. As always scripts from the internet are like Halloween candy, inspect before consumption. I offer no warranty beyond a sympathetic ear if you should run into any issues. This entry was posted in Utilities and tagged fill factor, fill_factor, SQL 2005, SQL 2008, SQL 2008 R2, SSC, SSP, sys.dm_db_index_physical_stats. Bookmark the permalink. 13 Responses to How is Fill Factor Impacting My Indexes? What a great script, highlighting an often overlooked aspect of performance tuning indexes. I will certainly be adding this to my tool kit. Thanks for sharing! Thanks for the post and the script! Nice work. thank you for sharing this script. I can´t wait to have a closer look tomorrow once I´m back in the office. Clearly explained, this is brilliant. Ping back fromBookmark : How is Fill Factor Impacting My Indexes? I find this article to further the knowledge base of anything and everything ever written about index fill factor. I look forward to running the DML code on some of the databases in my QA environment tomorrow. Gr8 Script! Thanks a ton! This query has lots of information, but I could use a little more help on determining what to do with it. Are you saying that any index that has shows “actual_free_rows_per_page” as less than 1 i.e. .67 should have the fillfactor lowered? For example most of the indexes have a 100% fillfactor so should I begin by changing the fillfactor to 90 and see what the “actual_free_rows_per_page” number ends up? The query looks at where your fill factor actually is. It measures the results of the design work that you did when setting the fill factor on the table. In the case where the actual_free_rows_per_page is less than 1 you have to look at your original fill factor and the reasoning for it. If the table can only hold 1 row per page then be honest with the fill factor and just set it to 100. If the index you are looking at holds 100 rows per page and is inserted into randomly and is getting to less than 1 free row per page before the next index maintenanace then it is time to adjust the fill factor. The idea is to use the least amount of fill factor possible to minimize page splits. What that means for a particular index really depends on the purpose and use of that index.